It is very common for individuals to use the terms bookkeeping and accounting interchangeably, but the two terms are very different. Accounting is a very broad term in the field of finance. While bookkeeping is an accounting process and a subset of the discipline, what an accountant does versus what a bookkeeper does are two very different roles. If you are interested in becoming a financial professional who looks over the financial activities of an organization or a private individuals. Before you start studying to become a bookkeeper or an accountant, you should learn about how the two terms differ, and what types of training you will need under your belt to pursue your dreams. What do Bookkeepers Do on a Daily Basis? 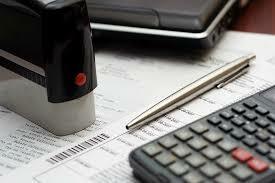 Bookkeeping is a system within the broad discipline of accounting. Also referred to as recordkeeping, bookkeeping is the process of recording and organizing important financial information. A bookkeeper will accumulate financial data, use a financial system to enter this data, update the data, store the data for future use, and access the data for the purpose of preparing financial statements, reports or tax returns. Bookkeepers must be trained to operate the financial information infrastructure that an organization uses and also must be dedicated to follow a system to ensure the data is up-to-date and accurate. What do Accountants Do on a Regular Basis? Accounting is the discipline where finance professionals review and analyze the data that is updated, organized, and stored by the bookkeepers. Accountants can make recommendations to management on spending, can help a company lower tax obligations, and can assess the financial health of a company based on financial statements. A bookkeeper technically works for an accountant to help the company leaders make sound business decisions. In addition to interpreting the data within financial reports and statements, an accountant can also help the company appeal to investors and stockholders for financing or to sell stocks. The accountants will design internal controls to oversee the bookkeeping system, to identify losses, and to thwart theft and dishonesty. In most companies, an accountant is directly over the bookkeeper. What Types of Training Do You Need? To become a bookkeeper, you may be able to start as an entry-level data entry clerk with little to no experience or training. Because competition in the field is high, most employers prefer to hire a certified bookkeeper who has passed the certification course with the American Institute of Professional Bookkeepers. To earn your certification, you must have at least 2 years of on-the-job experience. If you would like to become an accountant, you will need to start by enrolling in a Bachelor’s degree program majoring in accounting so that you can build a solid foundation of knowledge. Once you have earned your degree, you can find a position as an accountant and gain experience. Once you have completed 150 semester hours, you can apply to become a Certified Public Accountant. CPAs are highly more sought after and highly paid. Many professionals will start off as a bookkeeper while training to become a certified accountant. Take time to browse the requirements and the responsibilities of each professional, and compare educational programs that will prepare you for the field of finance and the expansive and exciting discipline of accounting.